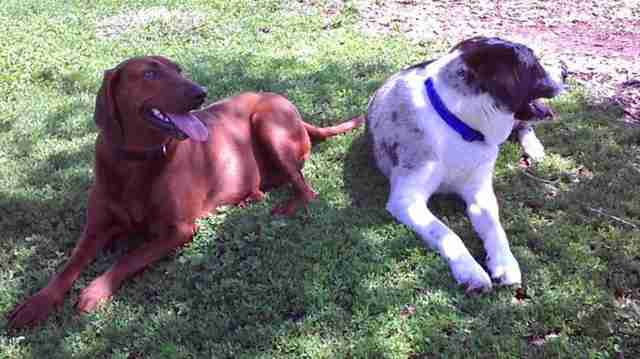 Lucy and Sully ended up at the shelter around the same time, and as soon as they met, they became inseparable. When someone saw Lucy's picture online and came to adopt her, the two dogs made it very clear that it had to be both of them, or neither of them. Both Lucy and Sully have fairly unknown backstories. Lucy came to the shelter as a stray, and Sully was adopted once and then returned to the shelter. Something about each dog drew them to each other, though, and Lucy became like a mother to Sully. He was just a puppy when he arrived at the shelter, and Lucy was a few years older. When Alaina Brinton lost her senior dog, she decided to welcome a new pup into her home a few months later. When she found out about Lucy, she knew she'd be the perfect fit. "I saw a picture of Lucy at my local humane society and just had to meet her," Brinton told The Dodo. 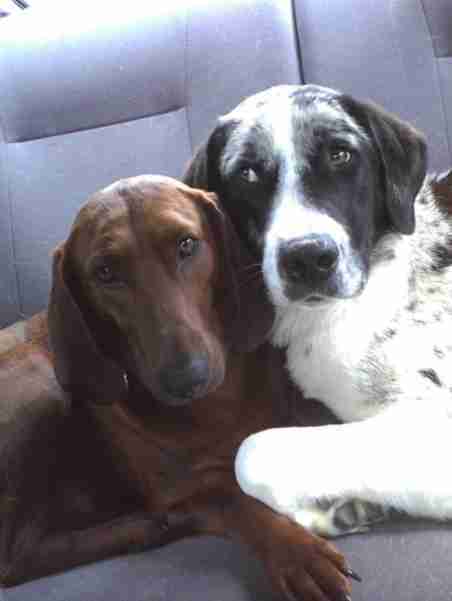 "When I called, they said that she'd been fostered with another dog and they'd like for me to also meet her buddy. I figured there wouldn't be any harm in seeing both." 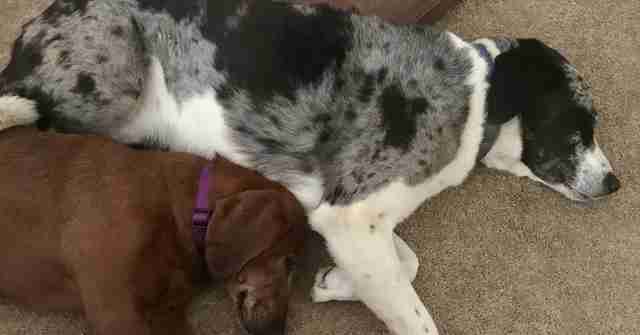 Brinton hadn't been planning on adopting two dogs, but when she saw how inseparable the pair was, she knew if she wanted one, she would have to take the other, too. Luckily, she immediately fell in love with both dogs, so the decision to adopt them both wasn't difficult at all. "I fell in love right away," Brinton said. "Besides, it was obvious Sully was looking to Lucy to show him what things were or weren't okay, and I wouldn't have had the heart to split them up." 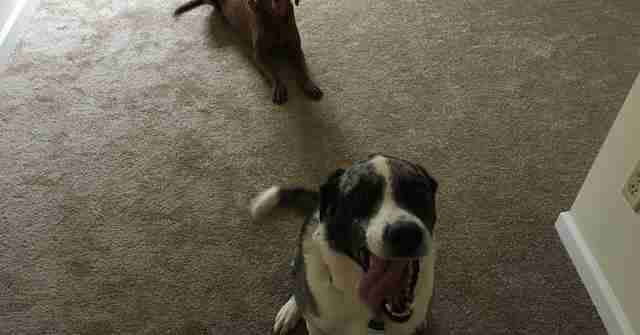 As soon as the dogs arrived in their new home, Brinton realized just how crucial each dog was to the other. 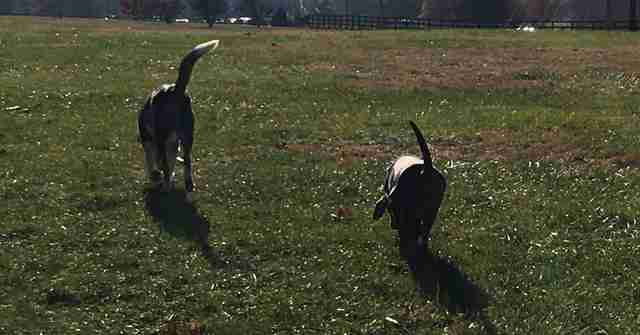 Both Sully and Lucy were nervous about being in their new home, but in different ways, and they each were able to show the other that what they were nervous about wasn't actually so scary. "The same way they feed off of each other's excitement, they also fed off of each other's growing comfort," Brinton said. "They settled in together, and figured out the new routine like a team. It was perfect, and I think it was a much easier transition for each of them because of the company of the other." 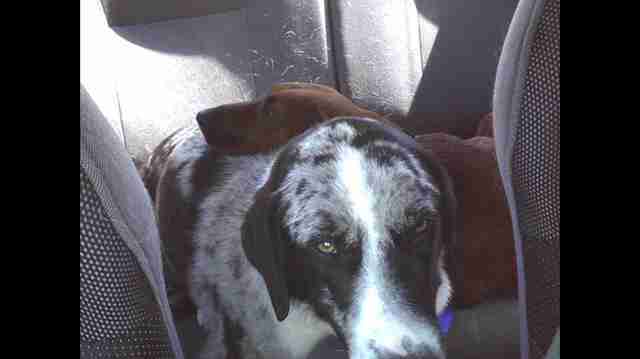 Now, seven years later, Lucy and Sully are still best friends, and do just about everything together. 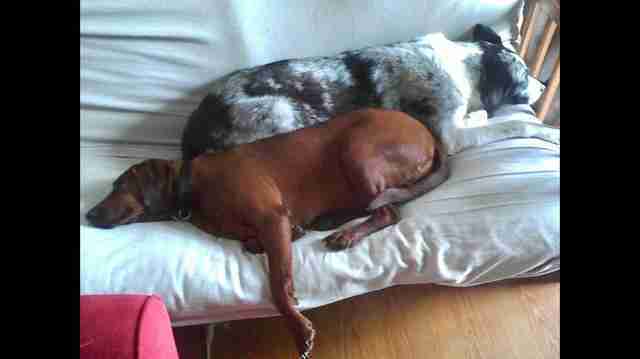 They nap together, play together and lounge about the house and yard together. Wherever one is, you can be sure the other is never very far away. "They're buddies forever," Brinton said. "Anytime they're settling in together, Lucy will give Sully a couple of licks on his forehead and he just looks like he's so pleased." Because Sully is bigger and a little younger than Lucy, he's much more active than she is, and needs more time to run around and explore the world. But even when Sully is off running around, he always makes sure that Lucy is OK and still there waiting for him. "Even when he's roaming around the dog park, Sully will come back and check on Lucy every couple of minutes or so," Brinton said. "He says hi, walks with her for a bit, and then he's off again. She doesn't seem to mind." Lucy and Sully brought each other comfort in the shelter all those years ago, and helped each other through tough times. Today, they're still as close as ever, and navigate life side by side.